The Internet is such a cruel place. 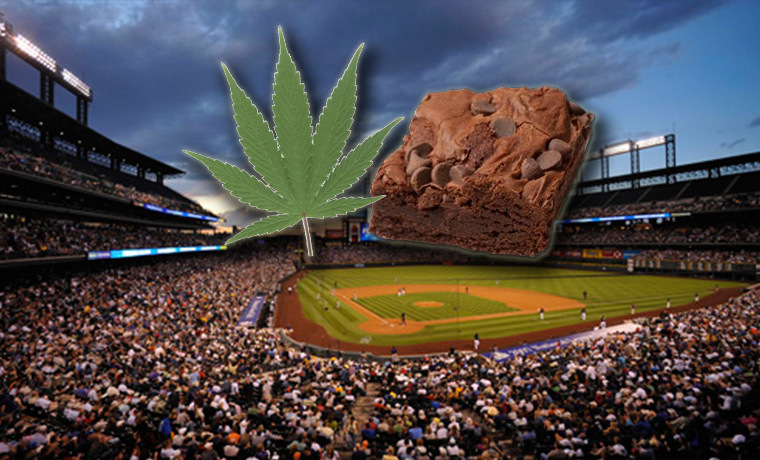 While they're not the most credible source for news, Legion Report said that the Colorado Rockies were serving weed brownies for their April 20 game against the Milwaukee Brewers, and like many stoners out there, it gave me hope. "The Colorado Rockies are expected to use the very best strain of marijuana in the state of Colorado. This strain featured in the marijuana brownies is ‘Durango Bango,' or commonly referred to as 'Bingo Bango.'" But after a brief mental celebration and contemplating flying out for the game, I came to the immediate realization that this was for sure a fake story. The team never reported this and neither did Coors Field. At first, I was outraged, angered, then I smoked a blunt and I was Gucci. While it's not happening this season, the thought of selling weed brownies and other food items that contain marijuana at ballparks is pure genius, especially in a state as grand as Colorado. Not only would MLB attendance increase, but they'd gain some new fans and nacho sales would skyrocket. Commissioner Bud Selig should look at this false report and put some serious consideration into making this a reality. Just look at it this way, instead of drunk and belligerent fans getting wild and sloppy off their brews, you can have a bunch of calm and sedated spectators looking forward to the seventh inning stretch, followed by a nap and more snacks. Come on, America!